Award winning horror short The Dollmaker has just hit the web. Watch it here. 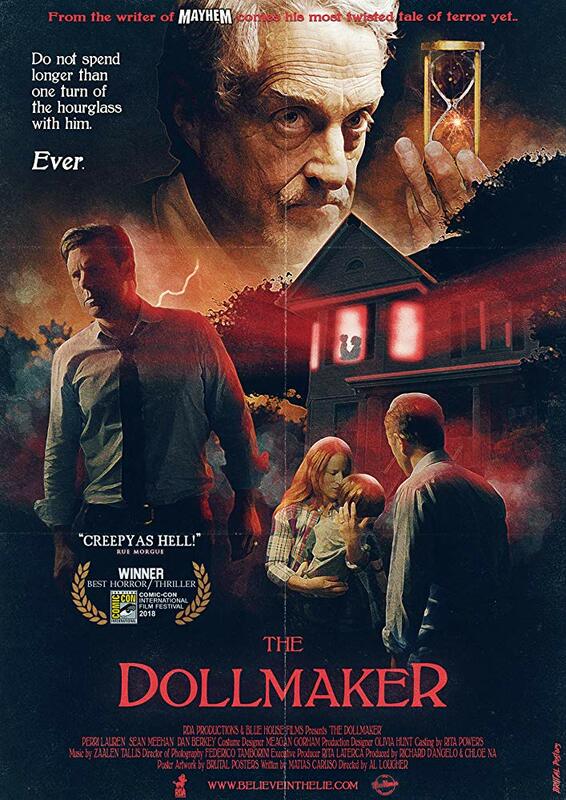 Director Al Lougher and writer Matias Caruso (who penned Joe Lynch's Mayhem) drew inspiration from Stephen King's Pet Sematary for their new horror short, The Dollmaker, winner of the Best Horror/Thriller award at Comic-Con last year. The Dollmaker stars Perri Lauren, Sean Meehan and Daniel Martin Berkey in a tale of a grieving mother who finds a surrogate for her lost child in the form of a doll that may not be as innocent as it seems.